Draft: 2009, Colorado Rockies, 8th rd. Rob is a non-roster invitee to major league Spring Training in his first season in the Cubs organization ... has pitched exclusively in relief in parts of seven major league seasons with Colorado (2012-14), Pittsburgh (2015-16), Milwaukee (2016-17) and the White Sox (2018) ... Is 5-7 with a 3.85 ERA (64 ER/149.2 IP) in 124 major league outings, walking 59 and striking out 99 ... saw his most extensive big league action in 2016, making 31 relief appearances between the Pirates and Brewers ... In 10 minor league campaigns, is 42-44 with three complete games, 21 saves and a 4.48 ERA (379 ER/761.1 IP) in 270 games, including 99 starts ... has pitched exclusively out of the bullpen since 2016 ... Selected by Colorado in the eighth round of the 2009 draft ... had been selected by the Yankees in the 48th round of the 2008 draft, but did not sign ... Attended Bradley University in Peoria, Ill. ... played four seasons at Bradley and was awarded the Mike Dunne Award as the school's top pitcher in 2009 after going 3-3 with a 4.05 ERA and a complete game in 10 starts ... Is a 2005 graduate of Willowbrook High School in Villa Park, Ill., where he also played basketball and football ... was an honorable mention All-State pick after helping Willowbrook to the regional finals as a senior in 2005. Rob spent the majority of the year with Triple-A Charlotte, where he led the International League with 13 holds and ranked second with 52 appearances ... made six September appearances with the White Sox ... Held the opponent scoreless in four of his six September big league outings ... all told, allowed four runs, walked three and struck out three in 5.0 innings for Chicago ... Went 3-4 with five saves and 13 holds along with a 5.64 ERA (38 ER/60.2 IP) in his 52 games with Charlotte ... Allowed 16 runs in 11.2 innings (10 games) in August ... pitched to a 4.04 ERA (22 ER/49.0 IP) in his other 42 games at Triple-A ... Did not allow an earned run in 12-straight outings, April 23-May 20 (12.0 IP). Split the season between Milwaukee and Class AAA Colorado Springs … limited right-handers to a .186 average (8-43) with the Brewers … opponents went just 5-27 (.185) with RISP ... Opened the season with the Sky Sox before his contract was purchased on 5/1 ... Earned his only win of the season on 5/10 vs. Boston, working 2.1 scoreless IP ... Made 13 appearances before being designated for assignment on 6/13 and outrighted on 6/15 ... His contract purchased a second time on 6/30 before being DFA on 7/23 and outrighted on 7/26 … finished the season with Colorado Springs. Combined to go 0-0 with a 3.38 ERA (13 ER/34.2 IP) and 27 strikeouts allowed over 31 appearances between Pittsburgh and Milwaukee … was claimed by the Brewers off waivers from the Pirates on 7/12 ... Limited right-handers to a .208 average (16-77) and opponents overall to a .067 mark (1-15) with RISP/two outs ... Made 15 appearances over three stints with the Pirates from 4/14-6/17 before being designated for assignment on 7/3 ... Was optioned by the Brewers to Colorado Springs on 7/12 following his waiver claim … was recalled on 8/8 for the remainder of the season ... Thirteen of his 16 games with Milwaukee were scoreless ... Combined to go 0-2 with a 4.28 ERA (13 ER/27.1 IP) and 22 strikeouts in 21 outings between Class AAA Indianapolis and Colorado Springs. Established career highs in wins, appearances and strikeouts in first season with the Pirates...Stranded seven of his eight inherited runners...Posted a 0.00 ERA (12.0ip) when pitching 2.0 innings or more (six game)...Was a member of Pittsburgh's Opening Day roster - his first career MLB Opening Day assignment...Gave up an unearned run and suffered a walkoff loss in the ninth inning on 4/9 at Cincinnati...Did not allow an earned run in his first seven games (6.2ip) thru 4/27...Suffered another walkoff loss in the 10th inning on 5/1 at St. Louis...Picked up his first win (third career) on 5/9 vs. St. Louis...Made five straight scoreless appearances (7.0ip) from 5/3-13...Surrendered a walkoff grand slam to Derek Norris on 5/29 at San Diego; all four runs were unearned due to his throwing error earlier in the ninth inning...Picked up his second win on 6/23 vs. Cincinnati...Gave up his second home run and suffered fourth loss on 6/25 vs. Cincinnati; gave up solo homer to Brandon Phillips leading off the 13th inning...Was placed on the 15-day disabled list on 6/26 due to right forearm tightness...Pitched 2.0 scoreless innings in a rehab start with the GCL Pirates on 8/6 and 3.0 scoreless frames with Double-A Altoona on 8/11...Also made six rehab appearances with Triple-A Indianapolis...Was recalled from rehab and reinstated from D.L. on 9/1...Allowed one run in 0.1ip on 9/2 at Milwaukee; his first game with the Pirates since 6/25...Made four appearances in September (4.2ip/3er). Spent majority of season with Colorado Springs (Rockies' AAA)...Led staff in appearances and set a career high in that department...Picked up his second career save on 6/15 vs. Salt Lake...Was recalled by Colorado on 6/22 and pitched 1.2 scoreless frames that night vs. Milwaukee...Made three appearances with the Rockies (5.1ip/4er) before being optioned back to Colorado Springs on 7/4...Was recalled a second time on 7/30 and picked up his second Major League win that night at Chicago (NL)...Returned to Colorado Springs on 7/31 and made 11 appearances to close out the Triple-A season...Recorded his third career save on 8/23 vs. Albuquerque...Was recalled a final time by Colorado on 9/2 and made eight appearances during the final month of the season (8.2ip/4er/8so)...Was acquired by Pittsburgh on 11/11. Scahill spent the entire year with Triple-A Colorado Springs or on the Rockies active roster...throughout the season, Rob made four stints with Colorado... He began the season with Sky Sox and would pitch in a cumulative 23 games at Triple-A...he went 5-1 with a 4.50 ERA (46.0 ip, 23 er), 11 walks and 45 strikeouts... Between his four stints with Colorado, Scahill was 1-0 with a 5.13 ERA (33.1 ip, 19 er) in 23 combined games...19 of his 23 games have been 1.0 inning or longer...he threw 2.0 innings or longer in 8 games this year... His first career win game on 9/19 vs. STL, as he pitched the 15th inning of the Rockies 7-6 (1 h, 0 r, 2 bb)...Corey Dickerson had a walk-off RBI triple in the bottom of the 15th... Recorded his only save of the year on 4/18 against Reno when he allowed two runs in 3.1 innings for the Sky Sox. Had his contract selected from Triple-A Colorado Springs 9/6 and spent the remainder of the season with theRockies...spent the entire season at Triple-A Colorado Springs prior to joining the Rox, and went 9-11 with a 5.68 ERA(152.0 ip, 96 er), 74 BB, 159 K and an opponent average of .280 in 29 starts...was the only Sox pitcher with more than20 starts...surpassed the 150.0 innings pitched mark for the third-straight season (152.0). Began his Major League career with a 7.2 scoreless inning streak from 9/11-26...over the 7.2 ip, allowed four hits (.160avg, 4-for-25), two walks and three strikeouts in five appearances. Tossed at least 1.0 inning in all six of his Major League outings in 2012...made his Major League debut with a scoreless 1.0 inning, allowing just one hit 9/11 vs. SF. Threw his third career complete game 8/7 against Omaha for Triple-A Colorado Springs. In four professional seasons has a career Minor League record of 32-33 with a 4.57 ERA (531.2 ip, 97 er), 213 walksand 461 strikeouts in 98 appearances, 97 starts. Spent his third professional season with Double-A Tulsa where he led the team in wins (12), starts (26), innings pitched (160.2) and strikeouts (104) while leading all starting pitchers in ERA (3.92)...additionally, he finished in the top-3 in all of Double-A ball in both wins (T3rd) and innings pitched (3rd)...Made 26 straight starts for the Drillers before making his only relief appearance in his final outing of the season...in that relief outing still tossed 6.0 innings allowing just two runs to earn his 12th win of the season...tossed a complete game 8/7 vs. Springfield, his second career complete game in a 7.0 inning outing...in the complete game he allowed just one run and two walks on eight hits...In the second-half of the season, the right-hander posted a 8-6 record with a 3.50 ERA (82.1 ip, 32 er) with 54 strikeouts and 30 walks while holding opponents to a .265 batting average...At the plate for the Drillers collected a .250 (6-for-24) batting average with a double, a triple and four RBI...Played for the Salt River Rafters in the Arizona Fall League following the Drillers' season...pitched in 11 games for the Rafters, all coming in relief, going 2-0 with a 7.36 ERA (11.0 ip, 9 er) while walking just three and striking out 14...allowed runs in just four of his 11 outings for the Rafters and held opponents hitless in four of the 11 games...following the AFL season was named an Arizona Fall League Rising Star. Was an everyday starter for High-A Modesto...had the third-most innings among all Nuts and the fourth-most in the Cal League...his 140 strikeouts were second on the team and fourth in the Cal League...was named the Cal League Pitcher of the Week, 7/19...tossed his first career complete game 7/15...finished with the third-most strikeouts in the Rockies organization...rated as the 15th-best prospect in the Rockies system by Baseball America following the season. Pitched as a member of the Tri-City starting rotation in his first professional season...did not allow more than three earned runs in any of his final nine starts of the season. 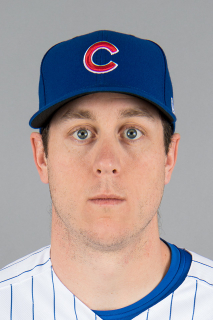 March 8, 2019 Chicago Cubs released RHP Rob Scahill. February 6, 2019 RHP Rob Scahill assigned to Iowa Cubs. January 18, 2019 Chicago Cubs signed free agent RHP Rob Scahill to a minor league contract and invited him to spring training. October 26, 2018 RHP Rob Scahill elected free agency. October 26, 2018 Chicago White Sox sent RHP Rob Scahill outright to Charlotte Knights. September 8, 2018 Chicago White Sox selected the contract of RHP Rob Scahill from Charlotte Knights. April 5, 2018 RHP Rob Scahill assigned to Charlotte Knights. January 22, 2018 Chicago White Sox signed free agent RHP Rob Scahill to a minor league contract and invited him to spring training. October 14, 2017 RHP Rob Scahill assigned to Leones del Escogido. October 4, 2017 RHP Rob Scahill elected free agency. September 6, 2017 Colorado Springs Sky Sox activated RHP Rob Scahill from the temporarily inactive list. September 4, 2017 Colorado Springs Sky Sox placed RHP Rob Scahill on the temporarily inactive list. July 31, 2017 Milwaukee Brewers sent RHP Rob Scahill outright to Colorado Springs Sky Sox. July 26, 2017 Milwaukee Brewers sent RHP Rob Scahill outright to Colorado Springs Sky Sox. July 23, 2017 Milwaukee Brewers designated Rob Scahill for assignment. June 30, 2017 Milwaukee Brewers selected the contract of RHP Rob Scahill from Colorado Springs Sky Sox. June 15, 2017 Milwaukee Brewers sent RHP Rob Scahill outright to Colorado Springs Sky Sox. June 13, 2017 Milwaukee Brewers designated RHP Rob Scahill for assignment. May 1, 2017 Milwaukee Brewers selected the contract of RHP Rob Scahill from Colorado Springs Sky Sox. February 6, 2017 Milwaukee Brewers sent RHP Rob Scahill outright to Colorado Springs Sky Sox. January 30, 2017 Milwaukee Brewers designated Rob Scahill for assignment. August 8, 2016 Milwaukee Brewers recalled RHP Rob Scahill from Colorado Springs Sky Sox. July 12, 2016 Milwaukee Brewers claimed RHP Rob Scahill off waivers from Pittsburgh Pirates. July 12, 2016 Milwaukee Brewers optioned RHP Rob Scahill to Colorado Springs Sky Sox. July 3, 2016 Pittsburgh Pirates designated RHP Rob Scahill for assignment. June 18, 2016 Pittsburgh Pirates optioned RHP Rob Scahill to Indianapolis Indians. June 11, 2016 Pittsburgh Pirates recalled Rob Scahill from Indianapolis Indians. June 4, 2016 Pittsburgh Pirates optioned RHP Rob Scahill to Indianapolis Indians. May 25, 2016 Pittsburgh Pirates recalled Rob Scahill from Indianapolis Indians. April 30, 2016 Pittsburgh Pirates optioned RHP Rob Scahill to Indianapolis Indians. April 14, 2016 Pittsburgh Pirates recalled Rob Scahill from Indianapolis Indians. March 29, 2016 Pittsburgh Pirates optioned RHP Rob Scahill to Indianapolis Indians. October 8, 2015 Rob Scahill roster status changed by Pittsburgh Pirates. October 7, 2015 Pittsburgh Pirates reassigned RHP Rob Scahill to the minor leagues. September 1, 2015 Pittsburgh Pirates activated RHP Rob Scahill from the 15-day disabled list. August 17, 2015 Pittsburgh Pirates sent RHP Rob Scahill on a rehab assignment to Indianapolis Indians. August 16, 2015 Pittsburgh Pirates sent RHP Rob Scahill on a rehab assignment to Indianapolis Indians. August 11, 2015 GCL Pirates sent RHP Rob Scahill on a rehab assignment to Altoona Curve. August 6, 2015 Pittsburgh Pirates sent RHP Rob Scahill on a rehab assignment to GCL Pirates. April 5, 2015 Pittsburgh Pirates recalled RHP Rob Scahill from Indianapolis Indians. March 31, 2015 Pittsburgh Pirates optioned RHP Rob Scahill to Indianapolis Indians. November 3, 2014 Colorado Rockies designated RHP Rob Scahill for assignment. September 2, 2014 Colorado Rockies recalled RHP Rob Scahill from Colorado Springs Sky Sox. July 31, 2014 Colorado Rockies optioned RHP Rob Scahill to Colorado Springs Sky Sox. July 30, 2014 Colorado Rockies recalled Rob Scahill from Colorado Springs Sky Sox. July 4, 2014 Colorado Rockies optioned RHP Rob Scahill to Colorado Springs Sky Sox. June 22, 2014 Colorado Rockies recalled Rob Scahill from Colorado Springs Sky Sox. March 22, 2014 Colorado Rockies optioned RHP Rob Scahill to Colorado Springs Sky Sox. August 23, 2013 Colorado Rockies recalled Rob Scahill from Colorado Springs Sky Sox. July 26, 2013 Rob Scahill roster status changed by Colorado Springs Sky Sox. July 10, 2013 Rob Scahill roster status changed by Colorado Springs Sky Sox. July 7, 2013 Colorado Springs Sky Sox placed RHP Rob Scahill on the temporarily inactive list. June 30, 2013 Colorado Rockies optioned RHP Rob Scahill to Colorado Springs Sky Sox. May 29, 2013 Colorado Rockies recalled Rob Scahill from Colorado Springs Sky Sox. May 18, 2013 Colorado Rockies optioned Rob Scahill to Colorado Springs Sky Sox. May 16, 2013 Colorado Rockies recalled Rob Scahill from Colorado Springs Sky Sox. April 24, 2013 Colorado Rockies optioned Rob Scahill to Colorado Springs Sky Sox. April 21, 2013 Colorado Rockies recalled Rob Scahill from Colorado Springs Sky Sox. March 24, 2013 Colorado Rockies optioned Rob Scahill to Colorado Springs Sky Sox. September 6, 2012 Colorado Rockies selected the contract of Rob Scahill from Colorado Springs Sky Sox. April 5, 2012 Rob Scahill assigned to Colorado Springs Sky Sox from Tulsa Drillers. February 2, 2012 Colorado Rockies invited non-roster RHP Rob Scahill to spring training. October 2, 2011 RHP Rob Scahill assigned to Salt River Rafters. March 30, 2011 Rob Scahill assigned to Tulsa Drillers from Modesto Nuts. April 3, 2010 Rob Scahill assigned to Modesto Nuts from Tri-City Dust Devils. June 20, 2009 Rob Scahill assigned to Tri-City Dust Devils from Colorado Rockies. June 17, 2009 Colorado Rockies signed RHP Rob Scahill.